Few people stop to think about the importance of the text message to many companies, nowadays — particularly coffee shops. Text message marketing can be a useful tool for many coffee shops to advertise to customers and potential customers, particularly among younger consumers and college students since this age bracket of individuals is more likely to be texting. While text marketing is certainly designed for a larger audience, with more than 85% of the population owning a cell phone they keep with them the majority of the day you are assured to reach a large audience of individuals of all ages through the use of a text message marketing program. And it is so easy! Sending out coupon codes on a weekly or monthly basis would be an ideal way to generate additional store traffic during typically slower times, such as in the middle of the afternoon, or on holidays. Customers oftentimes sign up for text message marketing list simply to receive these coupons. Providing them with an amazing offer each week is a really good way to score major brownie points. With most of the younger population in this country owning a smartphone of some sort, and checking their smartphones religiously, sending out information via text message is a useful way to get the message of the coffee shop directly to the consumer for very little cost and without much effort. Furthermore it takes less than 5 minutes for most messages to be opened and read by the recipient. The aforementioned messages could include coupon codes, sales, promotions, or even news and events. As a matter of fact, it would seem to make sense for coffee shops to send out text alerts for breaking news via text, since so many people associate coffee shops with the news, newspapers, etc. Regardless of the message, seeing the coffee shop’s name in the consumer’s inbox is an ideal way to reinforce the company’s brand. If you are in their vision you are also in their mind, and there’s a good chance it will be your shop they visit the next time they want a hot cup of java or a freshly baked pastry. Text message marketing by coffee shops is also pertinent because so much of the coffee shop customer base is technologically inclined. Take a look around your neighborhood Starbucks sometime. What logo do you see the most of, even more so than the Starbucks logo? That’s right. Apple’s logo. A good 50% of the patrons of Starbucks are in the store using it as a place of business or study, while typing away furiously on their computers, tablets and phones. Text message marketing plays into this beautifully. 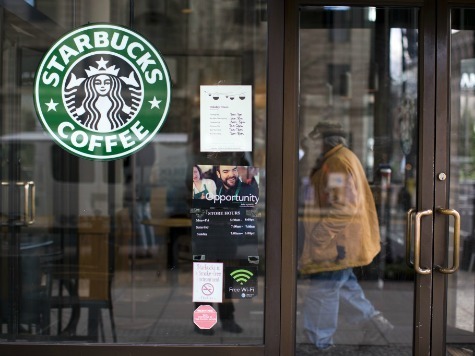 Many coffee shops, Starbucks included, are now sending text messages to patrons who have ordered their beverages, but are still waiting on them to be made. Clearly text marketing can play a major role in both marketing the coffee shop, as well as helping it run in a more efficient manner. In summation, text message marketing plays a critical role in driving sales for most up and coming coffee shops. This includes the “mom and pop” shops, as well as major national players like Starbucks and Coffee Bean & Tea Leaf. Marketing executives are quickly realizing the incredible potential of this very basic communication tool. This goes for the consumer, as well. Next time you’re in a coffee shop, try and take notice of how a simple text message can improve your experience, from saving money on your morning Joe, to receiving it in a much more efficient manner.